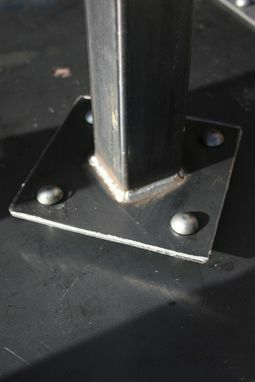 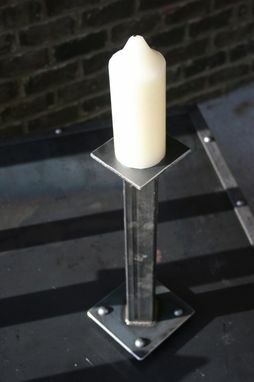 Custom candle holders made of solid steel and with rivets for feet. 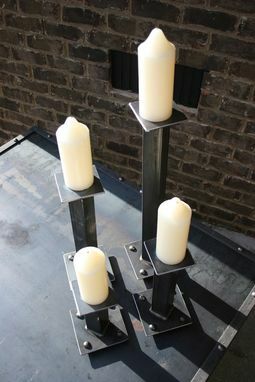 These candle holders would be a statement in any home decor. 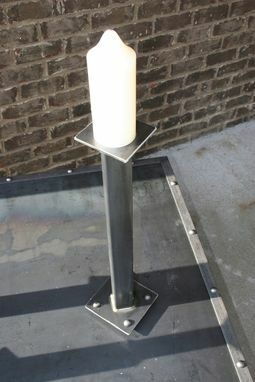 Dimensions vary, can be custom built to any size.